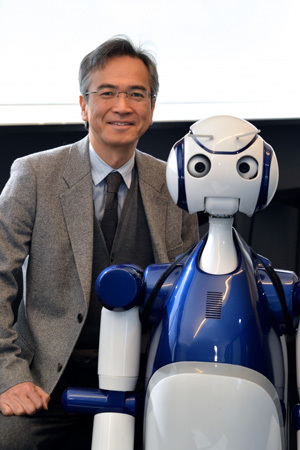 The partnership between the fields of robotics and information communications and technology (ICT) at Waseda University can be said to have begun with the creation of WABOT-1, the world’s first humanoid robot which was developed in 1973 through collaboration between the late Prof. Ichiro Kato in mechanical engineering and former Waseda University President Katsuhiko Shirai in electrical engineering. 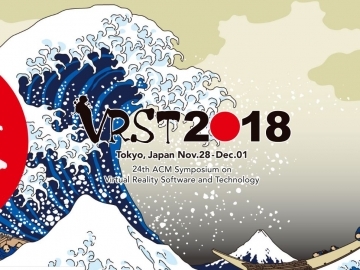 Bringing together mechanisms and control systems from the world of mechanical engineering with conversation systems and vision systems from the world of information engineering brought humanoid robots into existence. WABOT-2, a robot capable of playing a keyboard was born in 1984, and the human-friendly robot Hadaly–2 in 1997. All of these robots were successfully developed in a single research base that integrated mechanical engineering laboratories and computer science and engineering laboratories. These robots are testament to the power of partnerships and collaborations that cross the boundaries of academic disciplines and laboratories. Following this, both the mechanical engineering and computer science and engineering disciplines were selected as COEs (Centers of Excellence) and Global COE (Global Centers of Excellence), and now serve as international centers in their respective areas. 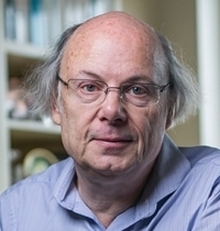 In 2013, the Graduate Program for Embodiment Informatics, an integrated five-year program based on a fusion of these fields, was selected as part of the Programs for Leading Graduate Schools initiative. We are working to expand the partnerships developed thus far through research into education, and to build a hub for ICT and robotics that will fuse next-generation mechanical engineering and computer science and engineering. A wide range of technologies based on mechanical engineering and computer science and engineering, including materials, mechanisms, sensors, human interfaces, networks and computers, are being introduced into the cutting-edge systems of robotics, motor vehicles, and medical devices. 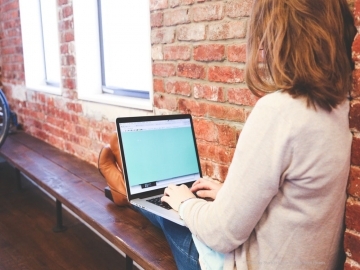 Understanding all of the latest developments within such a broad range of technologies is no easy task; it is most important to understand the strengths of each academic discipline and put them to use. Mechanical engineering’s achievements are demonstrated in the ability to share space and interact with human beings. Computer science and engineering’s strength is in accurate and ultrafast calculations and the sharing of ideas and knowledge resources through the high-speed handling of large volumes of components and data via networks. To help students develop the ability to understand the latest technologies and methods for dealing with problems, not just in specialized fields but also across wider domains, we are putting the following three initiatives into action. (1) Establishing subjects that will help students master advanced technology across several sectors and lead them to problem-solving innovations; (2) Establishing shared educational spaces (workshops) for exchanges with different fields to create a stimulating environment; (3) Expanding our long-term overseas training, internships and international exchange programs to help students understand different cultures and broaden their horizons. These initiatives create circles of camaraderie that combine several fields. 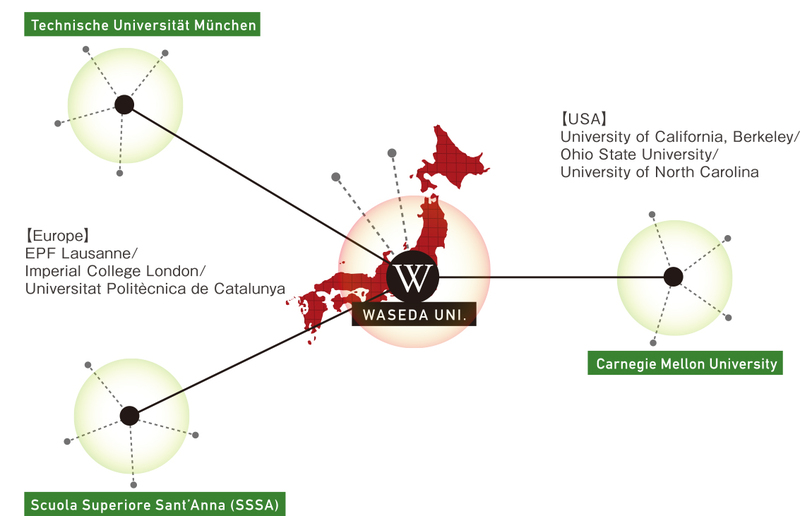 By expanding our circle from Waseda to include the world at large, we will be able to educate the leaders of tomorrow and send them forth to succeed in industries both inside and outside Japan.